Aug - 11 | By: Oregon Film | no comments. Just before you hunker down somewhere within the Path of Totality, make sure you find time to do something fun right in the Heart of Totality. 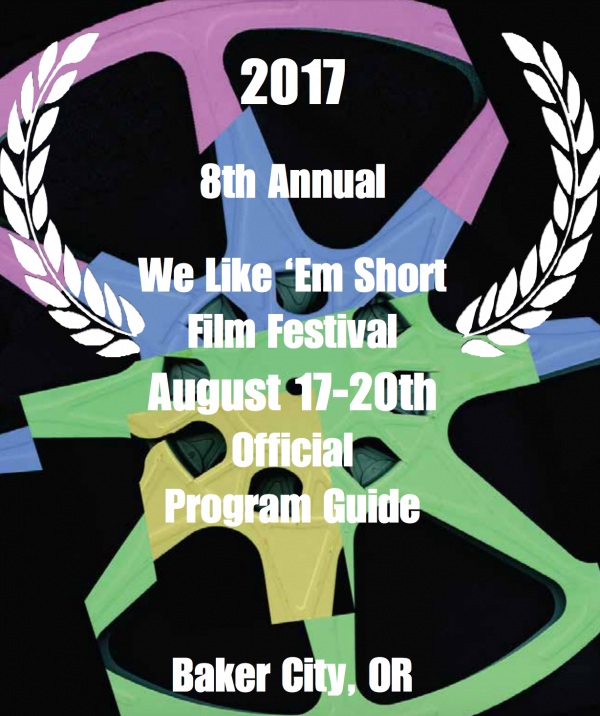 The We Like ‘Em Short Film Festival allows young, first time, filmmakers and professionals from around the world the chance to show their films in our beautiful small town known for its lively arts community. The goal for WLES is to bring films from local, national and international filmmakers to our region and showcase why the Baker Valley is so inspiring. This is the eighth year the Historic Eltrym Theater has hosted WLES and it’s grown by leaps and bounds. Our home at the Eltrym is due to the generosity of Teresa and Dan McQuisten who have been tremendous supporters of the arts and film over the past eleven years. We couldn’t do what we do in Baker City without them. In October of 2016 we started the selection process that ended on April 1st this year. We received over 250 submissions from 30 different countries. It was the largest number of films we’ve ever had to consider for inclusion which made the process more fun and difficult than ever. We hope you’ll agree that our “Official Selections” for 2017 are some of the best animations and funniest comedies we’ve ever had. WLES is funded in part by a grant from the Baker County Cultural Coalition, Oregon Film and Baker County Tourism, with the proceeds from the festival benefiting the student filmmakers at Baker High School. We are so pleased you came to enjoy one of the many great events Baker County has to offer and now it’s time to enjoy the shorts!